In war, heroic action is evident both on the battlefield and at home. Most war stories focus on combat deeds, but civilians also fight for their countries in ways that may be equally as dangerous as picking up a weapon. Michelle Dover, the circulation services manager at Bud Werner Memorial Library, reviews these two books about race and immigration. Studies suggest that people tend to associate with people who are similar to them — religiously, politically, economically and, yes, racially. How do we get to know the people who are not in our sphere when we naturally isolate ourselves from each other? I cannot say enough about this gem of a tale! This is a story full of character, humor, magic and wonder, one that I could not put down until finished, and even then I was aching for more. Geared toward young readers, "The Luck Uglies" is one adventure that even parents won’t mind reading. It immediately grabs the reader’s attention and plunges them into the middle of a heart-racing action scene as the main character, Rye O’Chanter, and her friends race over rooftops in a daring attempt to escape capture. And it only gets better. Eleven-year-old Rye lives with her mother and younger sister in the Village Drowning surrounded by bogs that spawn legends of terrible creatures. One such creature is the Bog Noblin, the loathsome beast that eats younger villagers and keeps their feet as trophies. Old fears and secrets of the village are revived when, against her mother’s rules, Rye wanders out after dark and finds herself face to face with a very real Bog Noblin. She’s not exactly sure what saved her that night, perhaps something scared the Bog Noblin or perhaps it had something to do with Harmless, the unusual man that had been lurking about. Either way, it didn’t matter; the Bog Noblins were real and they had returned. And unfortunately for Rye and all of the Village Drowning, the nasty, self-absorbed Earl of Longchance has driven out the only ones capable of defeating the Bog Noblins, the mysterious and supposed criminals, the Luck Uglies. As Rye tries to find the Luck Uglies and save her village, she finds out more and more about her true character, her family, their secrets and the father she never knew. Paul Durham does a fantastic job of creating eccentric characters and an implausible world, both vivid and real. I found myself in Rye as she stubbornly, determinedly and clumsily sets her sights on bringing back the notorious Luck Uglies. I also found myself loving Harmless, even when I wasn’t sure I could trust him, and I found myself running across rooftops and hiding in secret tunnels. Every hero and heroine is so wonderfully flawed that the reader can relate instantly. They are mischievous and a bit rebellious, but they possess strong family values and morals, and defend right from wrong. 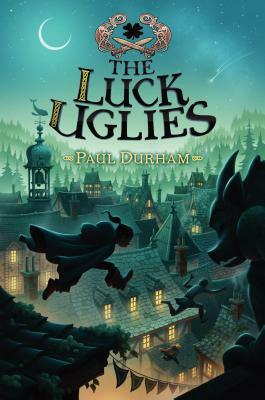 "The Luck Uglies" is more than just an adventure; it delves into the contrariety of good and evil and the true nature of monsters and outcasts. It flirts with the line between heroism and villainy and finds itself perfectly suited somewhere in between. I cannot wait for the sequel, which is due out in March. This book review, by Sydney Veldhuizen, one of our wonderful booksellers, first appeared in the Steamboat Pilot. 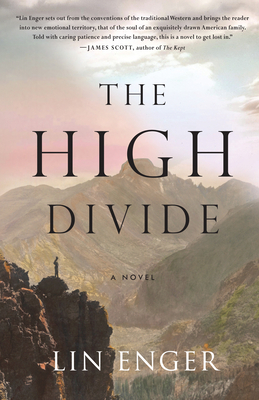 "The High Divide" tells the story of an American family and the rift — or divide — that threatens to break their bonds and their lives. This is a modern, literary Western: beautiful, sweeping historical fiction, set in the post-Civil War West, when railways sliced across the plains, when Custer was king and the vast herds of bison nearly had been decimated. Check-out Emily Katzman's latest book review for the Steamboat Pilot.